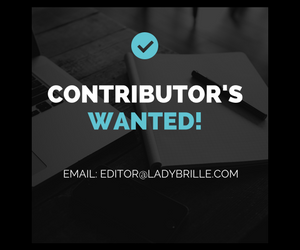 Founded in 2007, Ladybrille® Magazine is a California, USA, based pioneer digital publication celebrating the brilliant woman in business and leadership globally, with an emphasis on the African woman. The magazine has its foundation in fashion, and accordingly also provides extensive coverage on fashion new stories, with a focus on Africa. Ladybrille Woman of the Month: A running feature for 10 years, The ‘Ladybrille Woman of the Month’ celebrates women who empower themselves and others through their contributions and actions in their local and international communities. These women are intelligent, courageous, confident, and innovative. They strive for balance in their personal lives (whether emotionally, mentally, and spiritually), are persistent, and when they fall, they get right back up. These women honor and stand in their truths. They are business and community leaders, visionaries, trailblazers and game changers. They are our sisters, aunties, mothers, friends and so much more. They are “Ladybrille” (brilliant) women. In 2014, the Ladybrille Woman feature expanded to include a podcast show. The feature also periodically extends to Ladybrille men in a special feature. Ladybrille Fashion Business: Features & interviews with fashion industry professionals. Ladybrille Entrepreneur: The best-curated online content from successful entrepreneurs on how to succeed in business. Ladybrille Leader: The best-curated online content from successful leaders on what it means to be a leader. We are happy to partner with brands with shared values and have partnered with many reputable brands over the years. Please contact us to further discuss or for more details. Email newsletter: Direct personal contact with our brilliant women. Podcast show: Advertise on our podcast shows including our signature ‘Woman of the Month’ feature. Pre and post event publicity: We create pre and post event publicity for your campaign. Social media marketing: We advertise your event or product on our social media platforms. 80% Women Business Owners, 20% Professionals. Countries: 41% USA, 13% UK, 40% (Africa), 6% (Other). Industries represented: Business, Finance, Technology, Fashion, Film, Music, Media, Law, Engineering, Public Relations & More. Contact Uduak Oduok, Esq. (uduak@ladybrille.com) to discuss advertising and partnership opportunities.